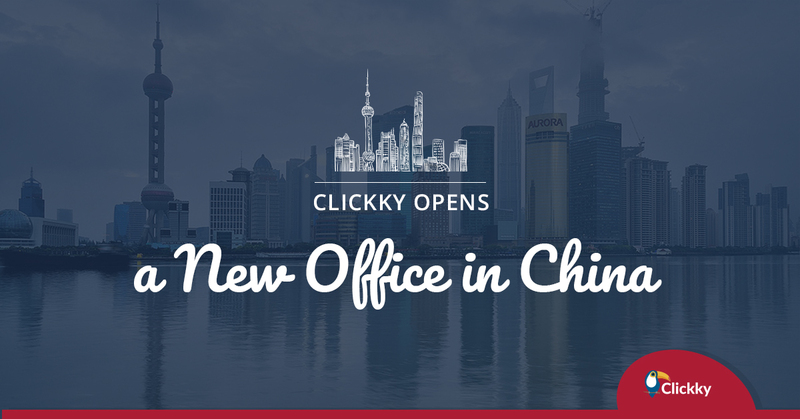 Beijing, China, April 11, 2017	(Newswire.com) - Clickky, a full stack platform for user acquisition and mobile monetization, announces the opening of a new office in Beijing, China. The company plans to accommodate its rapid growth in the APAC region and engage local talent for the business development efforts. Clickky is a global full-stack platform for mobile advertisers and publishers. The company offers managed and self-serve user acquisition and monetization services as well as API AdExchange, RTB and video advertising solutions. Among company’s clients are application developers, mobile ad networks and agencies, media buyers, DSPs and SSPs. Clickky now has 6 offices worldwide in New York, Beijing, Mumbai, Moscow, Kiev and Odessa.